Rawdorable: Prim Botanicals is "prim, not proper"
Recently, I was blocked from commenting on Instagram because I made too many duplicate comments (I posted "thank you" a few times in a row right when it happened; even positive comments need to fall in line with the rules, so I learned my lesson). 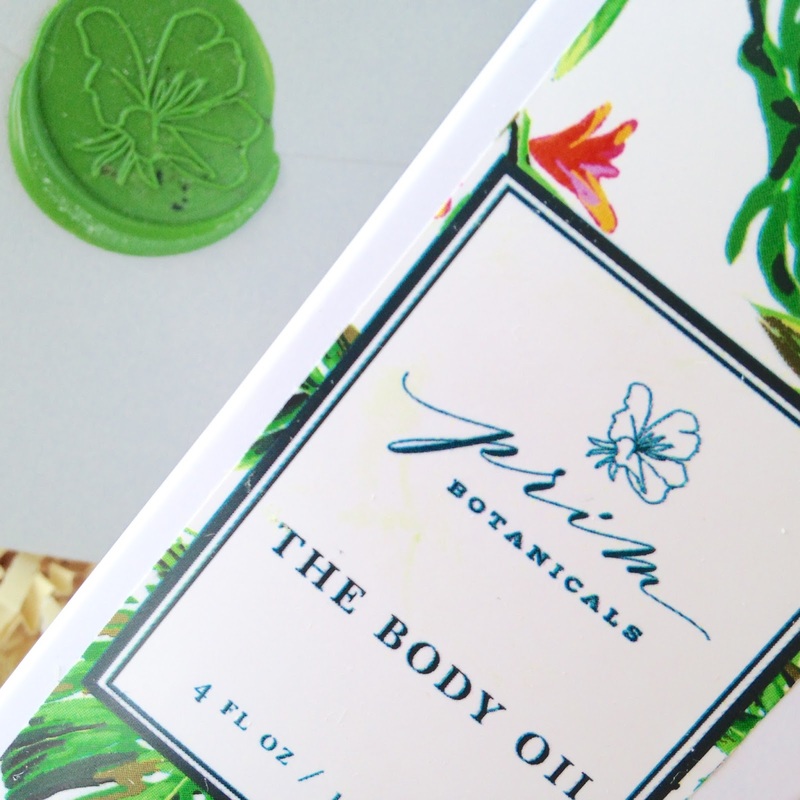 To my surprise, I actually won this Prim Botanicals Body Oil during the time I was blocked. I first discovered Prim Botanicals via Amanda of the Organic Bunny (don't be intimidated by her gorgeous outside; she's really is just as lovely on the inside, too). I had missed out on her first amazing subscription box, so I did this quick sketch to inform my followers about it (her subscription box has continued to be a success; make sure you check it out). Notice the Prim Botanicals Oil in the bottom left-hand corner? Since it was featured in one of Organic Bunny's subscription boxes, you can be sure that it's pure, natural and scores low on the Think Dirty app. 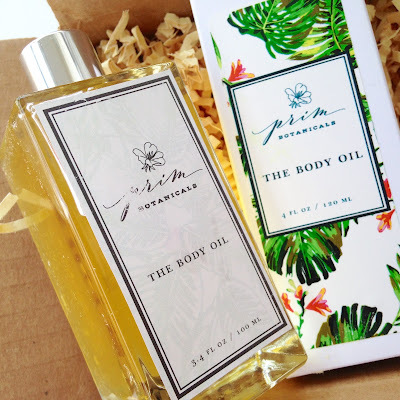 I was beyond excited to find out I had won my own bottle of this body oil to try. It came beautifully presented in a box of yellow paper shreds with a note closed with a fancy wax seal (my mom had a metal stamp similar to this one; I loved to use it to seal special notes with wax drippings from a candle). Even the box itself has a luxurious palm leaf print. Inside, the body oil is in a sleek glass bottle with flat sides that make it easy to grasp with oiled up hands. The instructions on the bottle simply state: "Feel sexier. For best results, shake well. Apply to your body while skin is still damp. Can be used as a bath oil. Pay special attention to areas prone to stretch marks and dry/rough patches. Feel free to ask someone else to apply this for you." "Because we're prim and not proper. We fully support being independent. That being said, this is best enjoyed when applied by someone else." Of course, my hubby immediately volunteered to apply it for me. It's great for a body massage, as well as just to moisturize your skin after a shower (I have yet to use it as a bath oil). A little goes a long way, so this body will last longer than you think. Unlike a dry oil, this takes a tad longer to absorb into the skin, but it's worth the wait. It makes my skin soft, smooth and shiny; as a mom of two, I can say that it does make any stretch marks less noticeable. This combination of hazelnut, camellia, almond, andiroba and pracaxi oils, along with jasmine, rose, black pepper, bergamot and rosemary, smells quite herbal right out of the bottle, but once apply to my skin, it takes on a sensual smell. It's more sweet and floral. I really love it. Prim Botanicals also makes a hair oil, face oil, potions and lip balm is cute containers (these additional product photos are from the Prim Botanicals website). 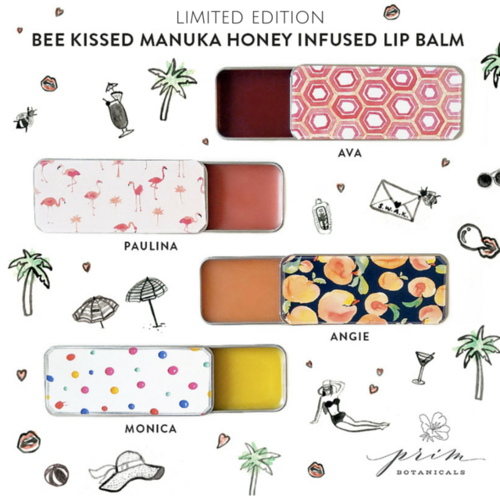 I can't wait to try the rest of the line, which is all 100% natural and cruelty-free. 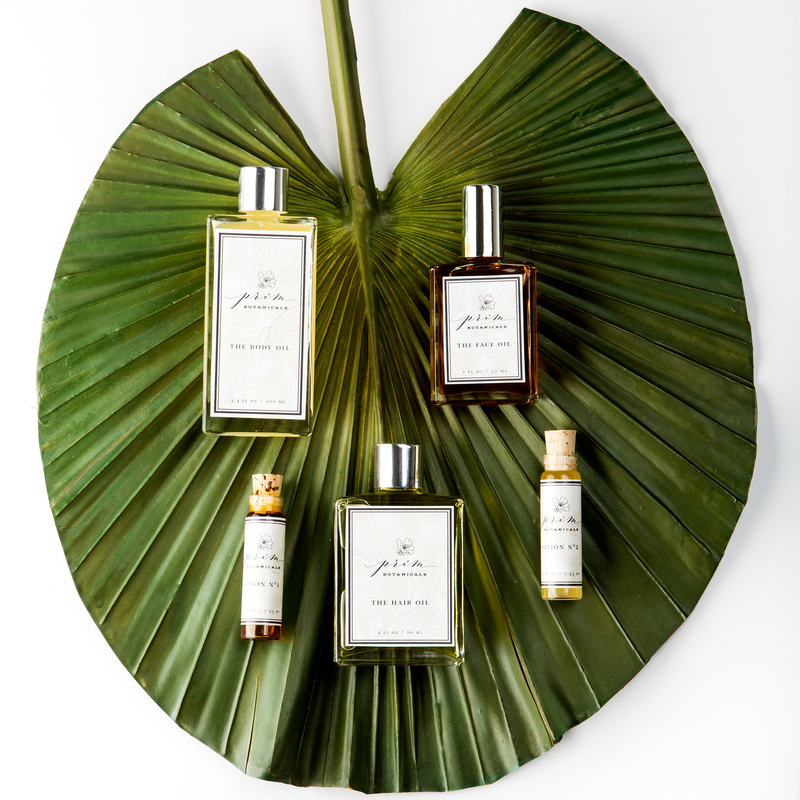 Have you tried Prim Botanicals? Let me know your thoughts on Twitter at @Rawdorable and/or Instagram (also @Rawdorable). 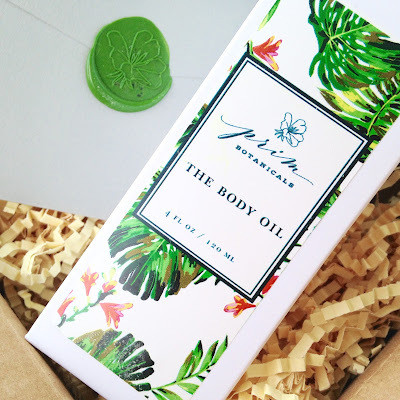 * Although I was sent this Prim Botanicals Body Oil, all opinions are my own.